If you’re spending time creating quality content, and not promoting it, you’re losing the content marketing game. The goal of content marketing is to build an audience. And you can only do that if you get your content into the hands of your consumers. The more people that consume your content, the larger your audience is going to be. The rule Derek Halpern of Social Triggers uses is to spend 80% of your time promoting content, and only 20% of your time creating it. The reason for this is quite simple: it’s wiser to spend time promoting content you already have, to build your email list, rather than creating more content that fewer people know about. It’s the only way you can truly maximize the ROI on your content. As they say for products: you can’t just expect that if you ‘build it, they will come’; with content, you can’t just expect that if you ‘create it, they will come’. You’ve got to promote content! 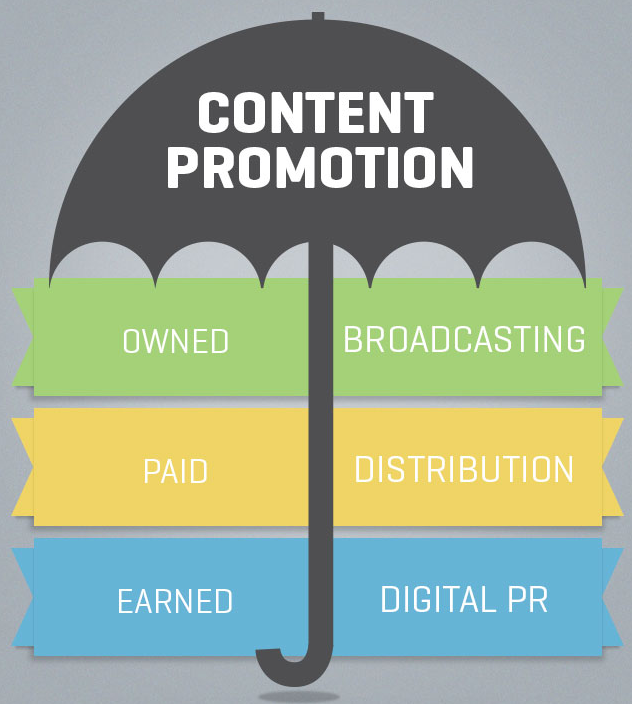 So the golden question is, how do you promote content? 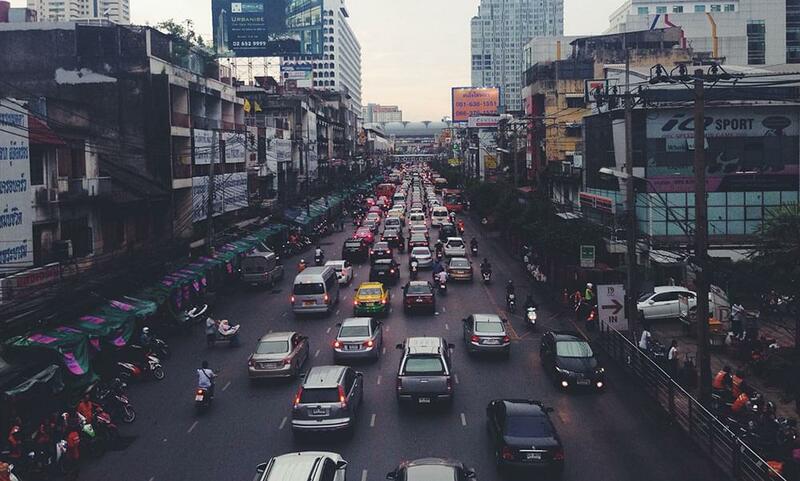 This post will cover 5 ways to promote your content and drive more traffic to your website. So let’s get right into it! This tactic involves reaching out to commenters and sharers of content similar to the one you’re planning to promote. So if you’ve written a blog post about driverless cars, and someone else has written a post about a similar topic with existing social engagement on it, you can reach out to the people who’ve already commented and shared the other post and let them know about yours. Since they’ve already engaged with a similar post before, it’s clear they have an interest in the topic, so the chances of them engaging with your post are pretty high! Check out the comments on this blog post. It has more than 594 comments, 848 tweets and 878 comments and shares on Facebook. Most commenters are linked to social media or commenter platforms like Disqus, so it’s possible to reach out to them, and let them know about your post. Imagine how powerful it can be to have an audience interested in your post, and then asking them to participate. 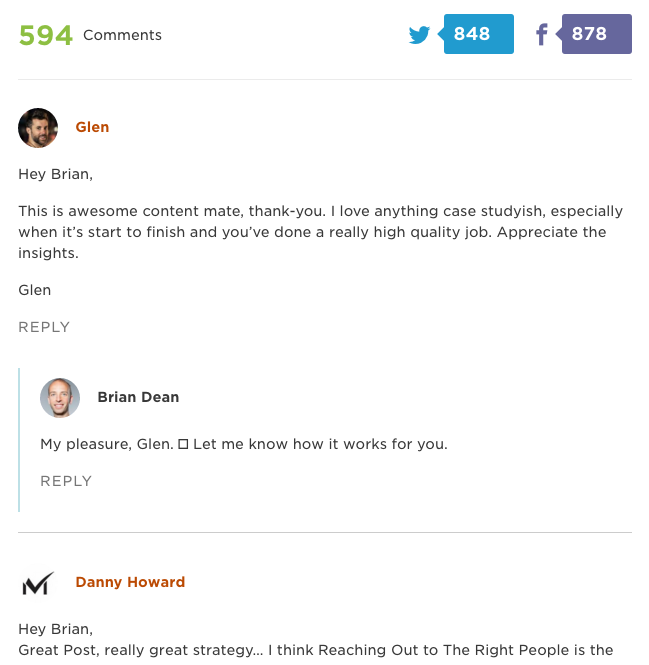 Their comments and feedback can be invaluable and a great way to promote your content. People are more likely to read posts with some social engagement on it, so inviting people already interested in your topic can be an excellent content promotion strategy. 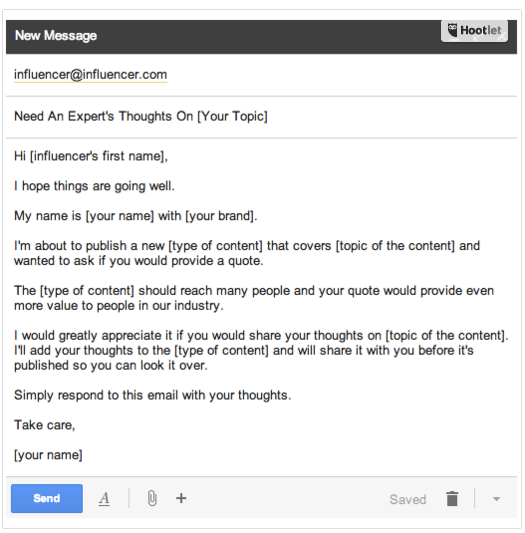 Comment marketing involves getting your name out there as the ‘expert’ in your field. By asking insightful questions and sharing your knowledge as the domain expert, you position yourself as a thought leader in your space, encouraging people to visit your site and consume your content. You always have the option of paying for promoting your content on social media. This includes paid Facebook & Twitter ads, sponsored updates and paid ads on LinkedIn and more. You can boost posts so they appear on the ‘news feed’ of your audience’s social media profiles. 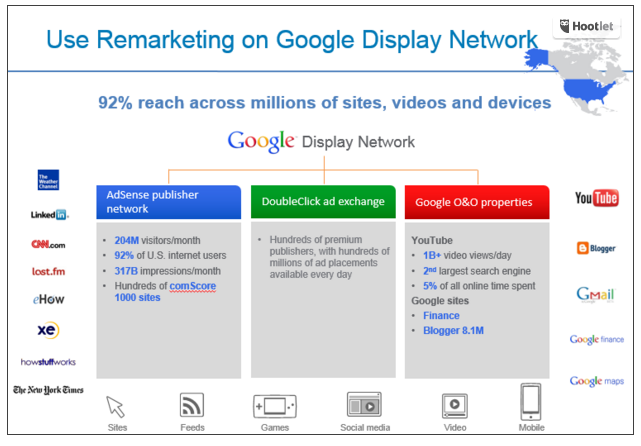 Remarketing can be particularly useful for this purpose, as you can have your ads follow your users once they visit your blog/content. The reason why this is effective is because people need to see your marketing message at least 7 times before they take any specific action on it. This is called the ‘rule of seven’. The thing that differentiates promoted content from advertised services is that promoted content usually solves a problem for a customer. For instance, if someone was looking for ways to decorate their house for Christmas, an eBook about ‘How To Decorate Your House For Christmas’ that’s promoted across the Google Display Network, is probably more effective in generating clicks compared to a Google ad that advertises ‘Interior Decoration Services For Christmas’. People want to know you care, and content is a great way of showing you do! An expert roundup post is a blog post that includes insights, comments and inputs from experts and involves them in the content creation process. So if you’re writing a post about digital marketing, including insights from the best in the industry like Neil Patel or Avinash Kaushik would be a massive crowd puller. The reason why this promotional tactic is fantastic is because it helps you build relationships with top influencers. Secondly, involving influencers while writing up your post allows you to leverage their network and drive traffic to your site through them. This can be a real win-win. Mentioning influencers in your post may also win you a link from their blog or website, and earn you the right to ask the influencers to share your content on their social networks. This can stimulate a massive amount of social engagement, as influencers have large social followings. Influencer marketing can be a great investment of your time and money. Statistics show that every $1 invested in influencer marketing yields $6.50 in revenue. It’s a channel you just can’t afford to overlook! The most intelligent thing you can do with content is: build your community. This not only involves building your email list, it also covers building your social following on social media. By creating a Facebook or LinkedIn group on your topic, you can invite people to join your group, initiate conversations and share your content. You don’t always need to create your own social group, it’s also possible to share your content in existing online groups, just as long as you don’t try to sell something. The idea is to be part of a social group, just like you would offline! You’ll be welcomed and valued if you truly add value and share your content where necessary. If you go down the route of creating your own group, getting to 1000 members is a great benchmark before you start evaluating content ROI. Another thing to note is to take an ‘agile’ or ‘lean’ approach to your content. Publish great content, evaluate the results and engagement you drive with it, and then tweak your content creation efforts according to the results you get. This is a great way to invest in the content that performs and eliminate all unnecessary content efforts. This tactic involves asking people who are well known authors and get plenty of likes and shares on their content to write for your blog. Inviting popular content creators to write for your blog can be great for promoting existing content on your blog. 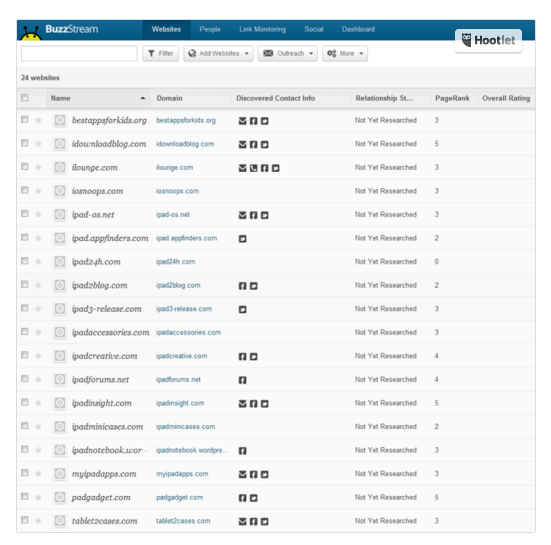 People start to take notice of your blog when they see well known content creators writing for your blog. So if you’ve tried guest blogging and it’s not working for you, then simply try the opposite! It’s worth giving it a try and also building your own blog as an important source of information. Finding great writers to write for your blog can be quite challenging. You can approach all the writers whose content you enjoy reading personally. An effective way of reaching out to great writers is via Twitter. Being an open social network, if you can capture the interest of a writer who interests you, you can build the relationships you need to have regular contributors to your blog. What’s important in this process is that you actively work out a ‘win-win’ scenario. Asking great writers to write for your blog, without offering them anything in return just wouldn’t work. Think about it from their perspective, and have the mindset of ‘what’s in it for them?’. Only then can you work out something that’s a mutually beneficial strategy! Like any digital marketing strategy, a good content promotion strategy will take a comprehensive approach across paid, owned and earned media channels. Balancing out content distribution on the right channels at the right time, with strategic PR relationships and paid media can go a long way in maximizing the returns on your content marketing investment.